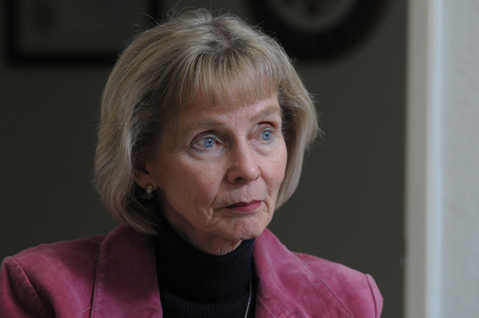 Congressmember Lois Capps blasted her Republican colleagues for engaging in “partisan posturing and brinksmanship” Tuesday after they effectively voted against a stop-gap bill that would provide extended unemployment benefits, increase Medicare payments to participating doctors, and maintain a payroll tax break now benefiting 160 million citizens. Without this bill, those 160 million (17 million of whom live in California) will see their tax bills increase by $1,000 the first pay period of the new year. According to Capps’s spokesperson, Ashley Schapitl, that translates to $21 billion a year in California alone. In addition, Schapitl said today’s vote means 350,000 unemployed Californians will see their unemployment benefits cut off. Currently, the federal government underwrites unemployment payments between the 26th and 99th weeks of unemployment. With Tuesday’s vote, those supplemental payments by the federal government will cease and those out of work can count on payments only during the first 26 weeks, when the State of California picks up the tab. In addition, the vote will also allow a 27-percent cut to doctors contracting to provide medical services to Medicare recipients. Capps, throughout her career, has pushed to improve Medicare payment rates as Central Coast doctors, in ever increasing numbers, have concluded they can no longer afford to participate. All but seven House Republicans voted in favor of the measure, which effectively rejected a Senate bill approved this Saturday by a vote of 89-10 to continue unemployment benefits and the payroll tax break for an additional two months. Despite strong support from Senate Republicans, House Republicans argued that two months was not long enough and insisted that any deal last at least one year. But the two-month package was embraced only after negotiations for a longer term deal broke down between Republicans and Democrats. The bill voted for by House Republicans calls on the Senate leadership to meet in conference committee to reconcile their differences in the 11 days remaining in the legislative calendar. Senate Democrats and Republicans have expressed impatience with this idea; Senate Democratic leader Harry Reid stated no such negotiations would commence without passage of the two-month measure. For Democrats, the vote will help underscore their election-year theme that Republicans are hostile to the needs of working families but very attentive to the needs of the wealthy. During negotiations over the one-year version of the same bill, Republicans insisted that the costs of providing more than $200 billion worth of middle-class tax relief needed to be offset by cuts in other programs. “When the Bush tax cuts were extended last year, the Republicans never insisted that they be fully offset,” noted Schapitl. Democrats proposed increasing taxes on people earning more than $4.6 million a year by 1.7 percent. Republicans proposed cutting a host of environmental regulations and insisted that approval for the politically controversial Keystone oil pipeline be included. For Democrats, the pipeline language was a killer. Capps has argued that the payroll tax break has acted as a powerful economic stimulus, providing working families an additional $50–$100 in spending money per paycheck. With this tax break eliminated, she cited economic studies estimating that 400,000 jobs could be lost. After the Senate voted overwhelmingly to approve the two-month bill, House Speaker John Boehner initially expressed support. But he quickly reversed himself when more conservative members of his party, led by the likes of Bakersfield’s Kevin McCarthy, voiced strenuous objections. Technically, Tuesday’s vote was not on the two-month tax-break extension itself, but whether a yes-or-no vote on that measure would be allowed or whether it should be referred to conference committee. By framing it this way, Republicans could effectively vote against extending the tax breaks while not actually voting against them. Capps said she was “deeply dismayed” that Republicans would not allow a straight up-or-down vote. Tuesday’s vote is an appropriate punctuation for a legislative year defined by legislative gridlock. It also explains the results of the most recent Gallup Poll, which shows that only 11 percent of those surveyed rated Congress positively and 86 percent gave Congress negative marks. These results are the most negative where Congress is concerned since Gallup began tracking congressional approval rates in 1974.